Are some of your DoD shipments metal crates or objects and you can’t get your RFID tags to read? 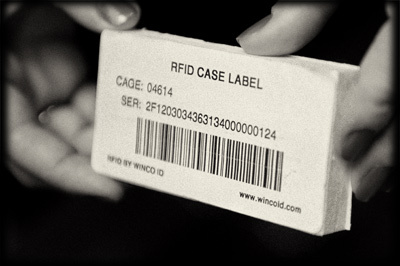 There is a simple solution for this – the Winco ID Metal Mount label. Using a spacer of specially engineered foam behind the label, holds it far enough away form the metal surface for the RFID tag to function. 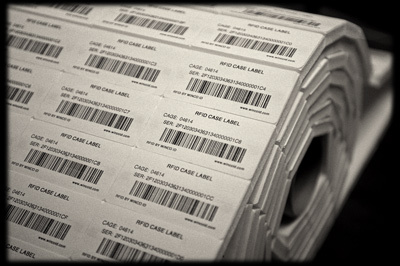 We can supply the Metal mount Labels in a number of forms. Printed, encoded and mounted (ready to use) as you see in the photo. Printed and encoded labels along with a roll of the die cut foam spacers (this is a little less expensive) and also we can provide just the rolls of foam if you are printing and encoding the labels yourself. This is a simple but well proven workaround for getting over the difficulty of tagging metal objects. If you need a more durable solution, there are also special encapsulated tags available for use on metal objects. These are normally used for returnable objects (where they can easily be reprogrammed for the next shipment) as well as for use in RFID asset tracking applications. If you need any help with those tricky tagging applications, feel free to call me at 603-598-1553 x237. Check out the video on the right side of this page regarding our metal-mount tag benchmark. Thanks Patrick. I know that some of our customers are being asked to tag assets that are going to be used in data centers. Your Benchmark tag looks as though it would be perfect for this.